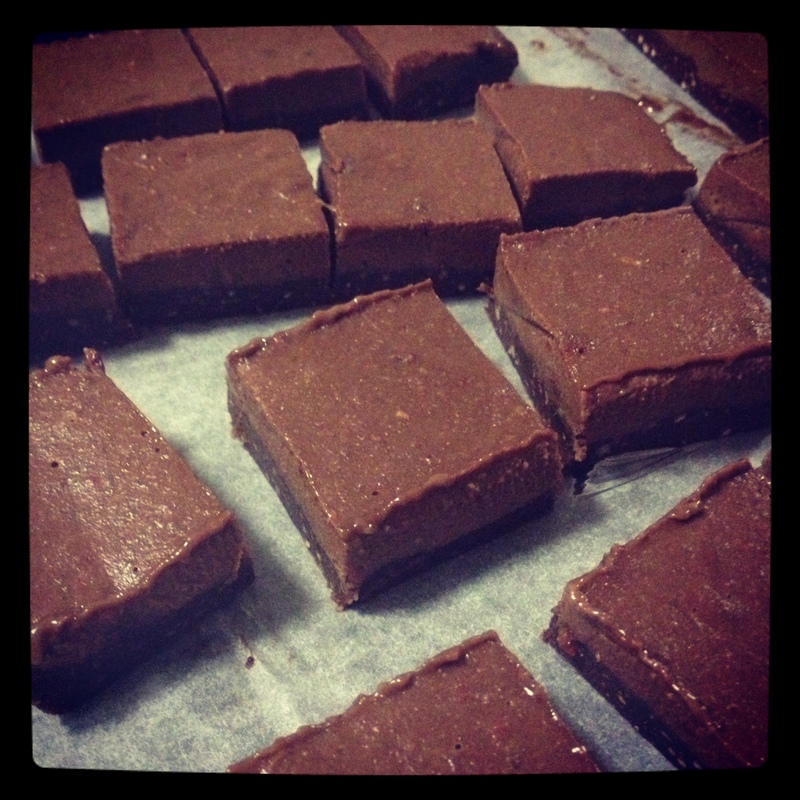 Coconut, Cacao and Peanut Butter Rough…. The time it took was around 30 mins….. 30 mins from the time I saw this recipe on Janella Purcell’s Facebook page to the time we were sitting on the lounge eating it! OMG – so good!! 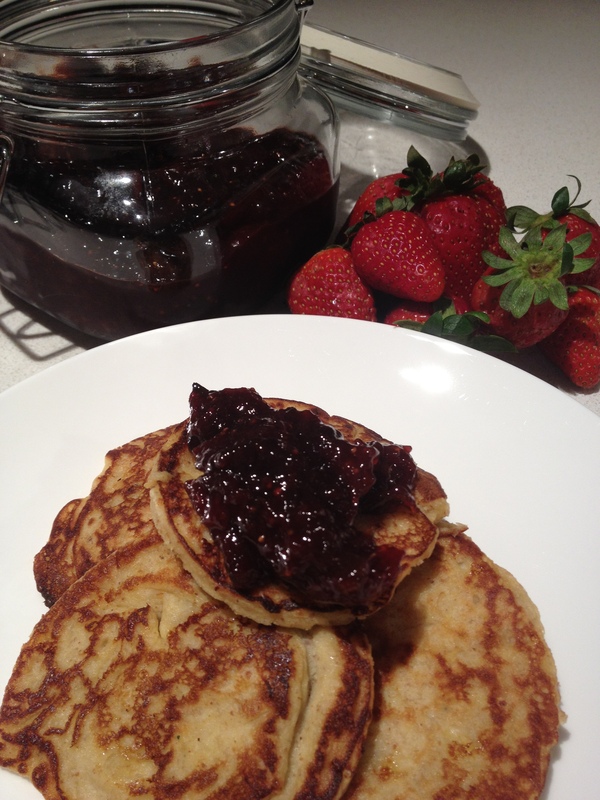 I have converted this recipe for Thermomix however you can find the original recipe here. Place nuts into TM bowl and chop for 2-3 seconds on speed 6 (or until desired consistency). Place everything else apart from the peanut butter into the TM bowl and mix for 4-5 seconds on speed 3. Pour half of the mixture into a lined cake tin and drizzle your peanut butter over the first layer. Pour the rest of the mixture on top and place in the freezer until set, around 20 mins. I came across this recipe from Amazing Paleo and knew I had to try it! 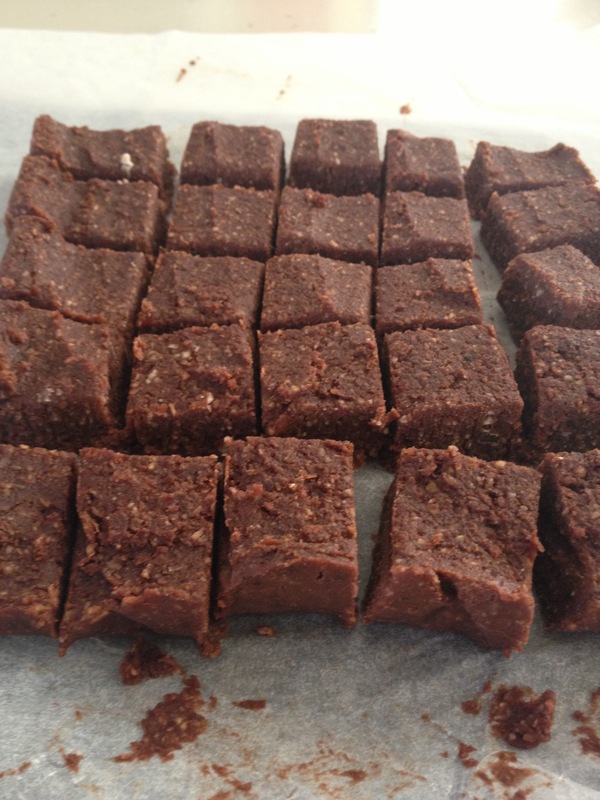 Raw, healthy, chocolate and kept in the freezer – tick, tick, tick! You can click on the link above for their recipe or see below for my Thermomix converted recipe. Place dates, almonds, walnuts, cacao into TM bowl and chop for 10 seconds on speed 8. Place mixture into a baking dish and press down with the back of the spatular to ensure a tightly packed base. Next, place bananas, raspberries, cacao, almond butter and honey into TM bowl and chop for 5 seconds on speed 8 or until smooth. Spread mixture on top of base and place in the freezer for 1 hour. Once set, cut into small squares and keep in freezer. They won’t really freeze so you can eat them straight out the freezer! As you will know from reading my other posts, I make almond milk instead of using cow’s milk so I always have leftover almond pulp. Usually I make protein balls out of the the pulp but I came across this recipe from the Rawtarian the other day so thought I would give it a go. 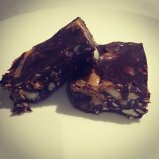 This raw almond pulp chocolate fudge is just beautiful! Not too sweet or sickly and the best bit, it’s good for you! I have converted the original recipe for using a Thermomix but if you don’t have a Thermomix, just click on the link above for the Rawtarian and follow her method. Place cashews into TM bowl and chop on speed 7 for 4 seconds. Add dates and chop on speed 8 for 5 seconds. Add the rest of the ingredients and mix on speed 4 for 5 seconds. Well I don’t know about you, but strawberries would have to be one of my favourite fruits! Especially this time of the year when they are so cheap!! 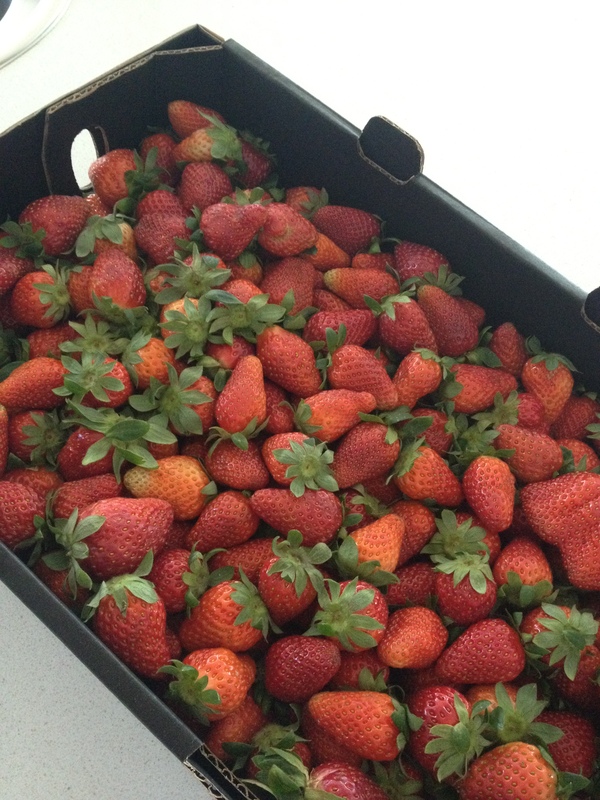 Last Saturday I went to the markets with my sister and picked up a 4kg box of strawberries for $5!! So cheap! I follow a lot of thermomix blogs and kept seeing everyone rave on about how good the strawberry vanilla jam is in the recipe book ‘For Food’s Sake’. I recently ordered this recipe book and with so many strawberries in my fridge I decided to give it a go. Well no wonder everyone raves about it…. Apart from my house smelling amazing, the taste of this jam is to die for! There is no jam setter in the recipe however it ends up being a really thick jam which I just love. I don’t think I’ll be making ordinary strawberry jam again. Place all ingredients into TM bow and cook for 35 mins/varoma/speed 1 with simmering basket on top of lid in place of MC. Check the consistency of the jam by placing a spoonful onto a cold plate. If it wrinkles up when pushed, the jam is ready. If not, cook 10 min/varoma/speed 1 at a time and check after each time period, up to 30 minutes more, until it has reached the consistency that you like. Pour into a sterilised jar and allow to cool before serving. Cook in a fry pan until lightly browned on both sides (I used egg rings to help hold the shape) and try not to eat them all in one go!! 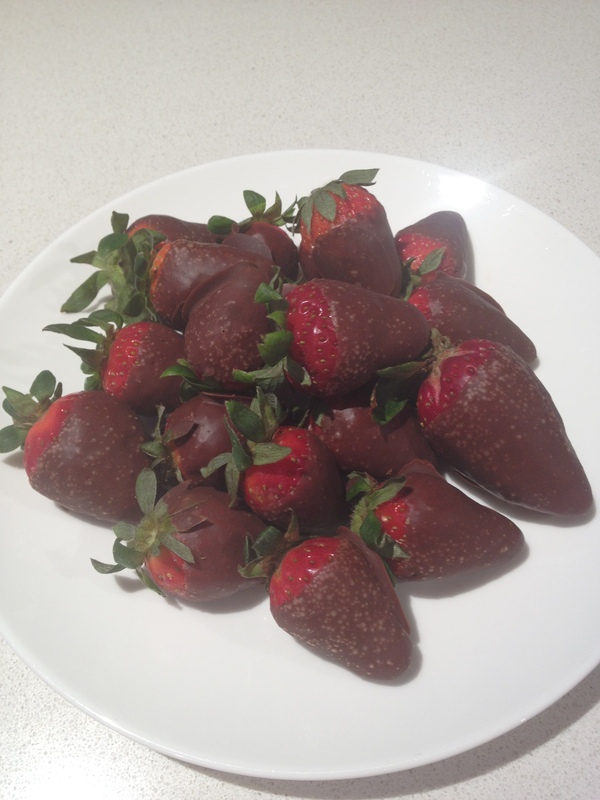 With all the extra strawberries in the fridge I decided to make some chocolate dipped strawberries using the almost raw chocolate recipe from Quirky Cooking which I just love! 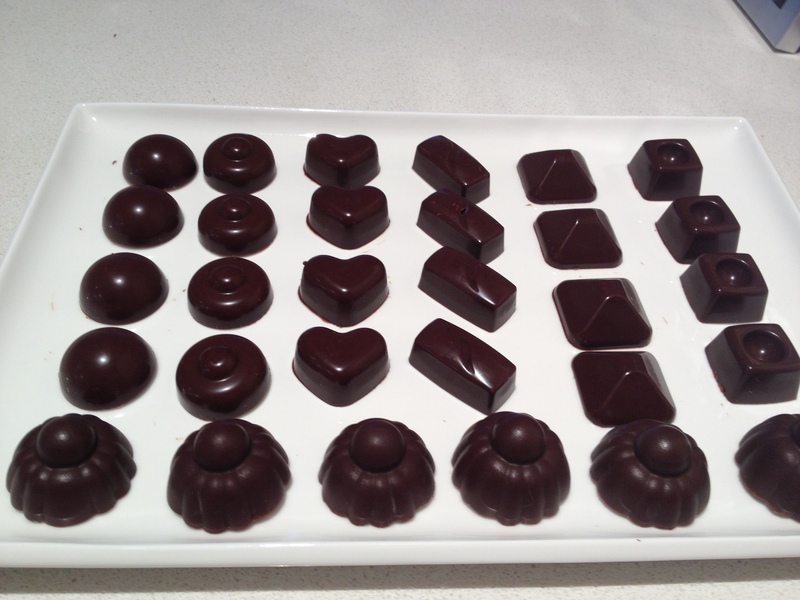 This was my first attempt at home made organic chocolate and I must say, the result was AMAZING!! So sticking with my quality over quantity motto and almost having to remortgage my house every time I was buying Conscious Chocolate (6 squares for $7.20!!) I decided to make my own. I came across Jo from Quirky Cooking’s recipe for ‘Almost Raw’ chocolate and decided to give it a go in my thermomix. With only 4 ingredients for the chocolate, it was super easy to make and the taste was, as I said – Amazing! Rather than pouring the chocolate into a slice pan, I decided to use some molds that I had to make individual chocolates. I did an assortment of jaffa (orange zest), coconut, slivered almonds and sultanas, hazelnuts and some just plain chocolate. If you would like to make your own chocolate, check out the Quirky Cooking website.